What’s going on everyone, happy Tuesday! My name is Eric your host and chief creative officer at The Creative Marketing Zone and I hope your week is off to an amazing start! Today, I am super-duper thrilled to bring on Jay Kali, founder of Kali Coaching to discuss how in the heck you can creatively grow your coaching business and brand when you are geographically dispersed. Now listen up ladies (and gentlemen), Jay is a strength architect! He doesn’t just build better bodies; he helps build strong, motivated, and empowered women all across the globe. He has been featured on Consumer Health Digest, Smart Healthy Women, The Athletic Build, and more. Jay is also the author of the Amazon Best Seller, Educate. Demonstrate. Motivate. : Helping Women Get Stronger Physically, Mentally, Emotionally for Lifelong Results. 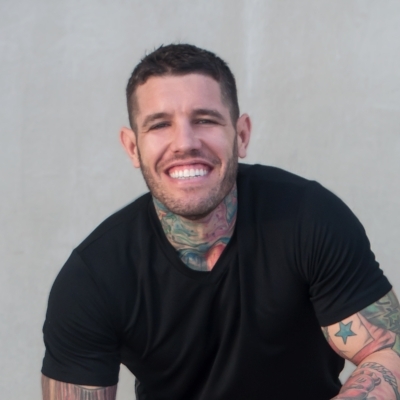 Prior to starting his transformational coaching business, Jay served in the U.S. Army from 2002-2010 preparing soldiers for Army fitness standards and overseas conditioning. He also transformed and led a 120-person U.S. Army unit fitness program and worked as a Senior Officer in the Federal Bureau of Prisons in Springfield, Missouri. I should also mention that Jay and his wife now reside in sunny Cancun Mexico, which makes him the perfect guest to discuss how in the heck he has grown his business to where it is now, along with some tips for coaches seeking to grow their brand outside their local market. Alright guys, without further ado let’s welcome Jay to the show!